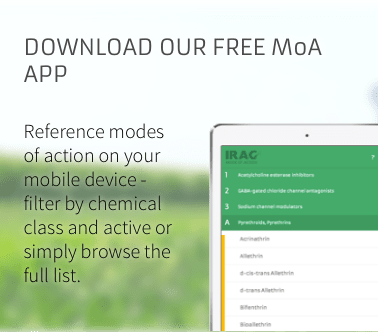 The new IRAC leaflet has been designed in conjunction with CropLife International providing growers with essential information on insect resistance management and the significant benefits for growers. The leaflet is in English at the moment but an editable version will be available shortly so that it can be translated into the local languages and targeted for specific countries and sectors. Subscribe to the IRAC eConnection to receive our latest news in your inbox. We use anonymous data in cookies to understand website usage. You consent to our cookies if you continue to use this website.